geomembranes in 20, 30, and 40 mil thicknesses. These geomembranes are highly flexible and can resist hazardous chemicals and withstand conditions in the exposed environment such as ultraviolet light exposure, wind damage and snow loads. Our Enviro Liner® 6000HD is fortified with an advanced UV/AO package and is ideal for long-term exposed applications. 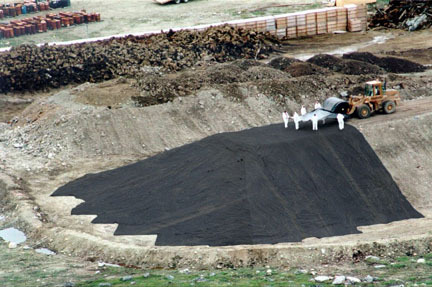 These geomembrane materials can also be used to fabricate remediation soil covers.